Thank you for visiting our site. We specialize in customizing cost-effective training for you and your staff. Tell us what specific area you need training for and we will develop a program for you. This RCRA refresher course is designed for large and small quantity generators of hazardous wastes. It satisfies the training requirements under 40 CFR 265.16. The Resource Conservation and Recovery Act (RCRA) requires that facility personnel be trained to “perform their duties in away that ensures the facility’s compliance” with hazardous waste regulations. 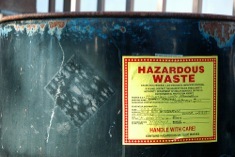 This RCRA course covers the general area of waste management training. It will help you stay in compliance with RCRA regulations. This 3-hour RCRA webinar course covers the RCRA’s “cradle to grave” rules and regulations and the implications on Superfund. If none of these dates fits your schedule, send us an email with your date and time we will check to see if we are available. Contact us at 360-490-6828 or email us for additional discount if you have 10 or more persons needing training. To register by phone, call us at 360-490-6828. We accept all major credit cards. You can also fill out this form and email it to us at RCRA@proactenv.com or mail payment to us with a company check. ❒ Check for $__________ enclosed. (Make all checks payable to Environmental Management and Training, LLC.) Mail check and this registration form to Environmental Management and Training, LLC. 1608 NW 9th Ave, Cape Coral, FL 33993. ❒ Credit Card payment: We accept American Express, Visa and MasterCard. If you need customized training on other environmental topics, click here.